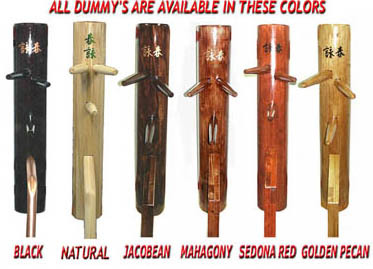 The Sensitivity Training Dummy is our newest Patent Pending design to take your Martial Arts training to a higher level. You can train solo or up to 4 practitioners at one time. The torso of the dummy freely spins 360 degrees in either direction, and can also be locked in fixed position not to rotate. Starting from the top, you have a 9' diameter octagon wooden head that is 10" tall. The head is padded with a vinyl covered foam pad, which is removable. The torso is a 12"x12"x18" cube which contains a chest pad on all 4 sides. You have multiple arm slots in the torso on all 4 sides so you can change arm configuration to 12 different combination's. This allows for different angles of attack. 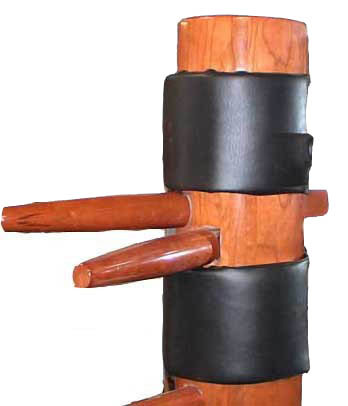 The arm poles are 41" long and have locking pins about 12 inch's from ends of each side. 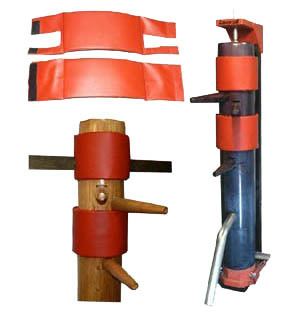 This allows user to pull all the arm out about 2 inch's, as well as push the arm in the same. By rotating dummy you cause it to throw hook punch's at your partner across from you. The base contains four legs for kicking and positioning. 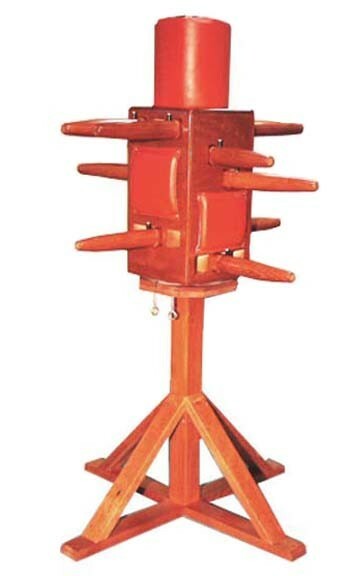 At the base of the leg the stand is extended to represent the foot for stomping and imobilizing your opponent. There are endless amount of drills and combination's with a partner or alone that The Sensitivity Trainer can benefit your training.